Facilities Event - Is everything OK at handover? Is everything OK at handover? 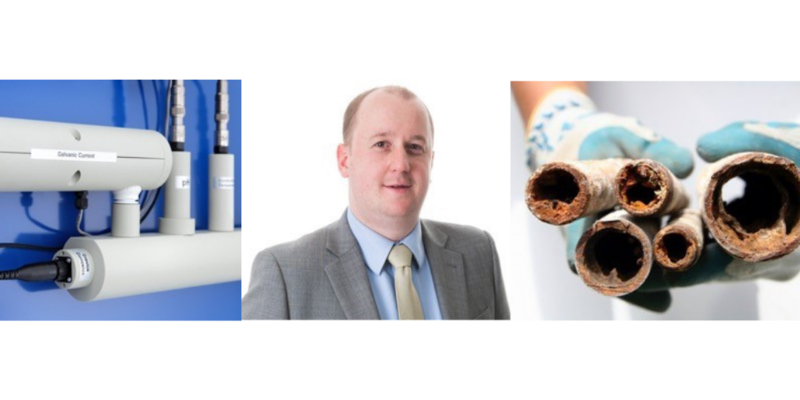 Steven Booth, MD of Guardian Water Treatment, will be discussing the benefits of water system monitoring at The Facilities Event. Here he introduces some of the issues commonly faced by FMs dealing with this type of plant. As an FM you are often at the mercy of other people’s mistakes; the bottom of the food chain following installers, consultants, and commissioning engineers. When it comes to closed-circuit water systems, essential for all HVAC plant, the potential issues are exacerbated as the methods used to check condition and then consequently handover a system are largely outdated. A ‘good’ sample, used as proof of a clean bill of health, therefore, can be misleading. As mentioned, dissolved oxygen is the pre-cursor to all forms of corrosion, either directly or by creating the right conditions for bacteria to thrive. Sampling does not effectively detect for oxygen, it focuses on bacteria, which is the result of a problem and not necessarily a reliable indicator. In closed-circuit systems where there is no risk to human health, when free-flowing (the point at which they are detectable by sampling), bacteria is doing no real harm. Biofilm on the pipe wall is the real issue, a state that is hard to identify with a water sample. The answer is 24/7 real-time monitoring, tracking a range of parameters including the all-important dissolved oxygen, pressure, pH, inhibitor levels, temperature and corrosion rates. Monitoring can begin during pre-commissioning cleaning, become a key part of the handover process and continue throughout a water systems life to ensure small issues are nipped in the bud and maintenance regimes are exacting to the requirements of the individual system. For FMs, this ultimately means control – results are sent straight to their inbox, with no need for expensive consultants. We work with Hevasure (Steve Munn, MD for Hevasure will be talking with me at The Facilities Event), there monitoring technology has helped our clients save thousands of pounds, due to the avoidance of breakdown, expensive repairs and off-plan call outs. Many issues that monitoring flags up can be dealt with in-house. Don’t leave it to chance; real-time monitoring is the only way to ensure that when you’re handed a new water system it is free from hidden problems.